For our 250 apartments in Krakow, we show actual room availability. 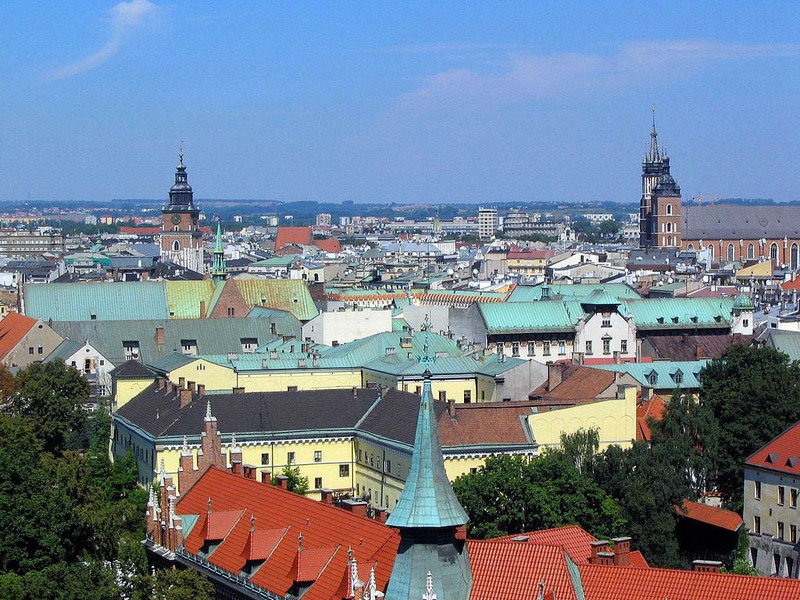 Krakow offers to its guests numerous excellent restaurants, many of which have remained a favorite place for eating for townspeople and visitors for decades. Arka Noegro is considered the most romantic restaurant in the city. Here visitors are offered to try popular European dishes. On evenings Arka Noegro offers a special menu, and its hall often hosts music concerts. The restaurant named Balaton is a favorite place of rest for Krakow natives. The restaurant serves only national dishes. Great choice of meat soups, potato cakes and vegetarian stew - the menu of this fine restaurant will please simply everyone, and the cultural program will make your meals even more enjoyable. Cherubino restaurant is located in the center of Krakow. In addition to large selection of national dishes, visitors are offered to try widest choice of drinks and cocktails. Next to the restaurant is located a bar with the same name. This is truly a great place for evening relaxation. Braised veal and stuffed duck are considered the specialties of Chimera restaurant. The spacious restaurant’s hall is perfect for special occasions. Here you can arrange a wedding or a birthday banquet. Fans of Italian cooking should not forget to visit Corleone restaurant. Here you will always find a welcoming and cozy atmosphere. During warm months the tables are located on a beautiful outdoor terrace. In case of a doubt, please contact us via the contacts below regarding your booking of an apartment or apart-hotel in Krakow, Poland. OrangeSmile.com provides 250 inexpensive and comfortable apartments in/near Krakow - often with hot deals and last minute discounts.